“Team Oakmont” from Oakmont of Santa Clarita brought in more than $8,400 for the Walk to End Alzheimer’s 2018 in early October. The team, comprised of 29 members, raised a total of $8,470 for the Alzheimer’s Association, earning them a ranking as the No. 2 team out of 93 in Santa Clarita, according to the event website. With a mission to “take the first step to a world without Alzheimer’s,” the Walk to End Alzheimer’s is close to the heart of those from Oakmont of Santa Clarita, with the community offering a Memory Care area with specialized programming and care for residents with Alzheimer’s disease. 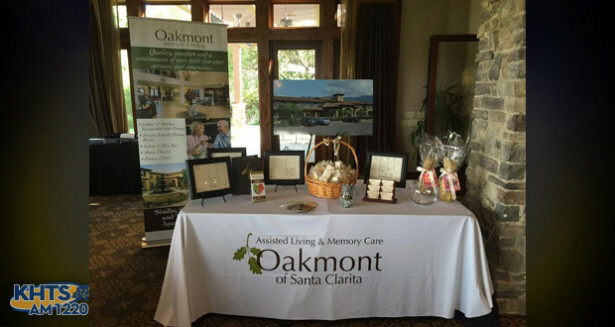 “We give them all the beautiful amenities at Oakmont, but it’s a more structured program geared towards just enhancing their quality of life and helping them to deal with the sad disease of Alzheimer’s,” said Mary Dembkowski of Oakmont of Santa Clarita. A total of 25 apartments comprise the Traditions Memory Care community, with an additional 55 apartments that range in size from 400 to 1,300 square feet in the main Oakmont of Santa Clarita community. Oakmont of Santa Clarita is currently home to about 90 seniors, and anyone interested in joining the Santa Clarita senior living community for either memory care or assisted living can schedule a tour with a staffer today.